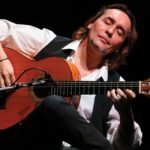 Rumba is perhaps the most simple flamenco style, or “palo flamenco” since it always bases on quite an “easy to learn” basic flamenco chords. It’s most often performed by 2 or more guitars since the rhythm complexity of the right-hand doesn’t allow for more elaborated solo guitar arrangements. The minimum is that one guitar plays solo and the melody, and another guitar (or guitars) – the rhythm and the chords. Rumba is always in 4/4, but it’s a simple binary rhythmical structure in flamenco evolved into very peculiar right-hand patterns. The accented beats are 1, 2e, and 4, (2e is the second quaver of the second crochet). Rumba is the most spread flamenco style on the Iberian peninsula, and it is played by almost every street band called “Los Rumberos”. Rumba Flamenca became the principal export flamenco product for the world music market scene from the 1960s. 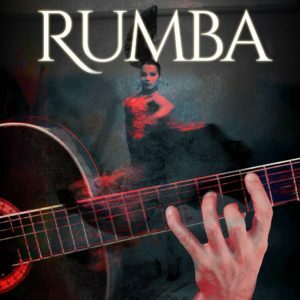 With the Fascist regime ending and Spain now opening to the world, rumba also influenced other world music styles and inspired various fusions in music – probably more than any other flamenco “palo”. Here we can not skip mentioning Paco De Lucia and his world famous hit Entre Dos Aguas. 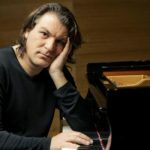 It popularised Flamenco and influenced spreading the flamenco freedom philosophy around the globe – probably more than any other flamenco song in the second half of the 20th century. In rumba the rhythm guitar involves different “golpe” hits over the front board, and that is probably the most pronounced element in this playing style. The right hand also involves certain strumming Rasqeado techniques, combined with different “golpes” into a circular rhythmical pattern. 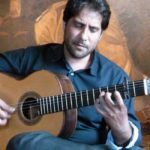 There are at least 50 different rumba patterns played all over Spain by different flamenco guitarists, and practically everyone has evolved his own unique playing style. And that includes some of the most prominent flamenco contemporary artists, as well as street musicians or “Los Rumberos” on city “plazas“. The soloist on the guitar is playing a combination of techniques, from which the picado is the most prominent; solo guitar is improvising by switching between the natural and the harmonic minor, which is like a mixture of a tranquil blue color of the sea, and a fire-orange red of the flamenco passion. The natural minor dominant is the consonance that into flamenco comes from Europe and the Atlantic ocean, while the harmonic minor dominant comes from the Mediterranean and north Africa. It is the result of 800 years of Muslims rule on Iberian penninsula. They remained all from 711 AD all up to the Renaissance – the beginning of the 16th century, and left an irreasable mark in Flamenco culture and tradition. Please note that among the poorest possible information on Rumba Flamenca on Wikipedia, there is this very questionable sentence: “musicologists agree that rumba flamenca does not truly derive from “Cuban rumba”, but from “guaracha”, a fast-paced music style from Havana“. 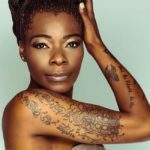 Besides the very strong musical influence from the colonized countries in Americas onto the Spanish modern day culture – the Rumba Flamenca has almost exclusevely the European and the African origins, and maybe there is a 3 % of influence from Latin America in modern day rumba…!!! But that is because of the musical instruments getting adopted into flamenco heritage from American colonies in the last 100 years, and that has nothing to do with harmony or anything musically related to the history of Rumba Flamenca. Who do they think colonized who with this theory, i wander…? From the beginning of the 19th century in Spain, with the classical guitar coming to the world music stage and being played more and more in the elite society, the Gypsies rapidly adopted this new 6 string instrument as their own. Started populating western Europe from the Punjab province in India during the Moz-Arabs ruled Iberia in the 12th century, many of the Gypsy “guests” remained after the 15th and 16th-century Christian conquests, that started in 1492. Castilla and Toledo’s alliance expelled (almost) all Jews and Arabs, and almost all the Gypsies. Besides that fact, the Gypsies were the ones that were the carrier and the catalyst for all right-hand techniques because they were too poor to buy metal strings, like normal citizens. They were making the strings from animal intestines and were playing the guitar without any bone pick, using the fingers and fingernails. They were now traveling nomads again just under Christian rule, and as the second order citizens, Gypsies continued to spread the spirit of freedom over the Iberian peninsula. Their nomadic freedom ideology, under years of repression – created the very essence of the Flamenco spirit and culture we have today…! Their guitar playing style came from their different approach to this newly emerged and perfected 6 string instrument. Instead of performing it plucking the strings by pulling and releasing them with the fingers (like classical guitarists, which would require a certain level of precision and fingernails hygiene); their approach to it was much cruder. They started using the whole body of the guitar as a percussion instrument, hitting the front board to create sound and playing the “golpe” hit. Therefore paving the way for the “golpe” protection plate to appear. But the most important is that they invented a whole new technique from scratch, hitting the strings with the top of the fingernails with circular repetitive motion; using as a pivot base both the wrist and the finger base joint with the anchored thumb. Therefore creating the base of the “Rasqueada”, as opposed to “Punteada” guitar, (today being the flamenco and the classical guitar). 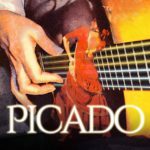 Flamenco Guitar Lessons reveals secrets, tips, and tricks for mastering flamenco guitar, through a set of very comprehensive video tutorials on Harmony, Techniques, Styles (“Palos”) and Nails. The technically rich Iberian legacy brought every single classical guitar technique into the world of flamenco. That’s why the flamenco guitarists today are on the technical front lines, widening flamenco language and achieving the impossible. 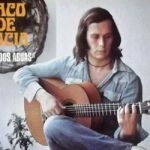 On the other hand, the strict classical guitar world, waiting for some piece to be written to embed the technique into the classical guitar heritage, is still late to adopt many fantastic flamenco techniques. Therefore Flamenco Guitar Lessons explores the most important from both worlds. Josele, so glad to meet you…!